Two versions available, natural and white. What a pretty lacy blouse. 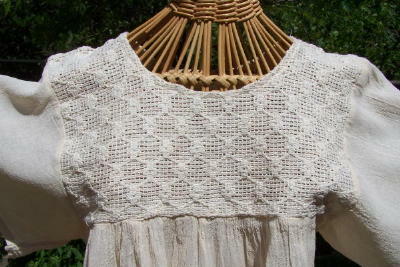 The yoke is all lace, front and back, and the sleeves are loose and roomy. 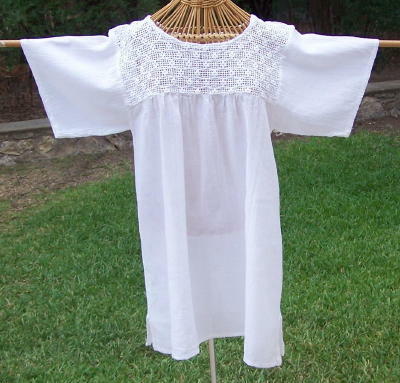 This peasant blouse is Mexican cotton, and will get softer every time you wash it. 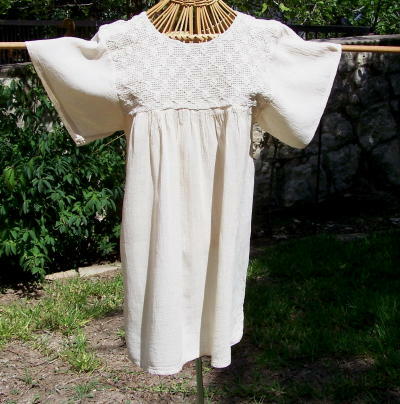 The natural is a bit more opaque - the white is gauzy and you may want a camisole. Bust to 40" to 40"
Hips to 52" to 52"
Bust to 46" to 46"
Hips to 56" to 56"